Through a guided exploration of modern American literature, students will investigate themes of immigration, diversity, racism, and cultural traditions in the United States from 1945 to the present. 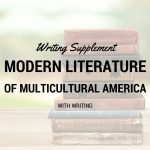 Students will analyze texts from literary, thematic, and historical perspectives to gain insights into multicultural modern life in America. Selected authors include Maya Angelou, Langston Hughes, Gish Jen, Hisaye Yamamoto, Chitra Divakaruni, Amy Tan, Lorraine Hansberry, Chaim Potok, and Sherman Alexie. Categories: Literature, Teen Focus, Spring 2018, Spring 2019. Tag: Standard Semester. Through a guided exploration of modern American literature, students will investigate themes of immigration, diversity, racism, and cultural traditions in the United States from 1945 to the present. 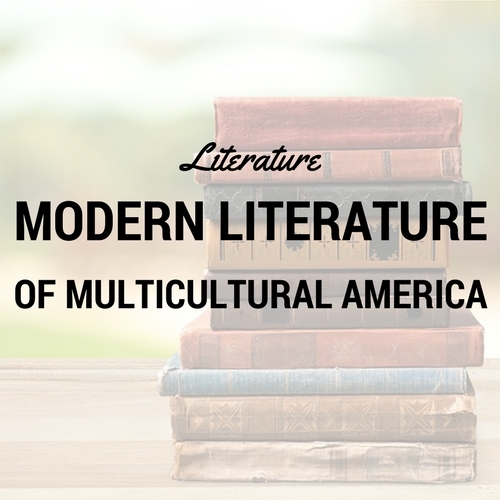 Students will analyze texts from literary, thematic, and historical perspectives to gain insights into multicultural modern life in America. Selected authors include Maya Angelou, Langston Hughes, Gish Jen, Hisaye Yamamoto, Chitra Divakaruni, Amy Tan, Lorraine Hansberry, and Chaim Potok. This is fast-paced semester-long high school course in which students will read four full novels and several short stories and poems in a single semester. Weekly webinars are 50 minutes long. Recordings are available for students who must miss a session. Learning activities include regular writing to communicate ideas via the discussion forum, videos and multimedia materials to support learning, use of web 2.0 tools to illustrate new concepts, and weekly participation in live webinars. Appropriate for grades 9 through 12. This is a high school literature course open to students ages 12 and up who are prepared to read and discuss literature at a high school level. Most students report spending approximately 3 hours per week on homework outside of the webinar. Any HS Lightning Literature class, or equivalent literary analysis experience. Student must be able to read quickly and fluently at the 9th grade level or above. Students should also be able to write multi-paragraph texts independently and verbally communicate complex ideas with the microphone in the live webinar.